When was the last time you had your windows professionally cleaned? Regular maintenance cleaning can prevent mold, mildew, and possible oxidation from sprinklers and screens that could cause permanent stains. Our technicians can recommend ways to help prevent these problems in the future. We offer commercial and residential window cleaning to enhance your view and brighten your home or office. We clean your windows, outsides only OR inside and out, including screens, sills and tracks. Don’t forget your skylights! While inside your home or office, a great deal of care is exercised when we perform our services. We use drop cloths and shoe covers to keep your floors and personal belongings clean. Protect your investment by keeping your windows clean on a regular basis. Ask us about signing on to a frequency program to save money. Clean windows will clearly brighten up your day! What is a water fed pole? Poles that go up to 60 feet can reach and clean high windows while our technicians remain safe on the ground. There are no squeegees involved because the water that goes through the pole is filtered and will dry spot-free on your glass. 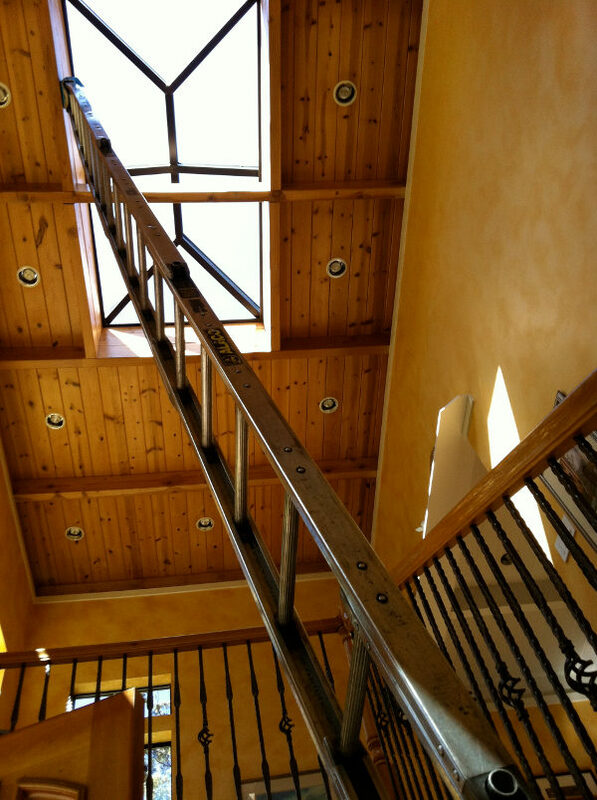 Skylight cleaning interior or exterior also available. 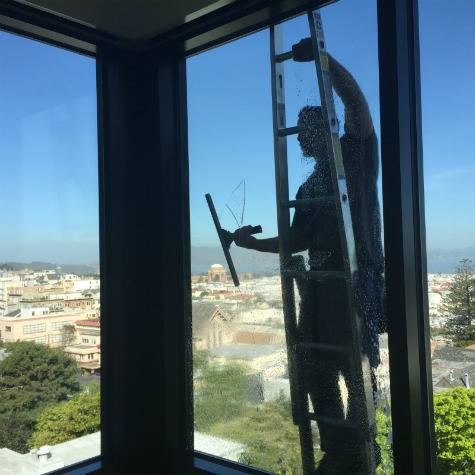 We can safely clean extra tall windows with specialized equipment and reach places others can’t. Time lapse of a window cleaning job — see what it looks like when we’re working!